Whether you are a law enforcement officer seeking to improve your edge or a martial artist wanting to expand your knowledge of street-proven techniques, you will find Defensive Tactics: Street-Proven Arrest and Control Techniques is filled with invaluable information to prepare you for even the most difficult scenarios. 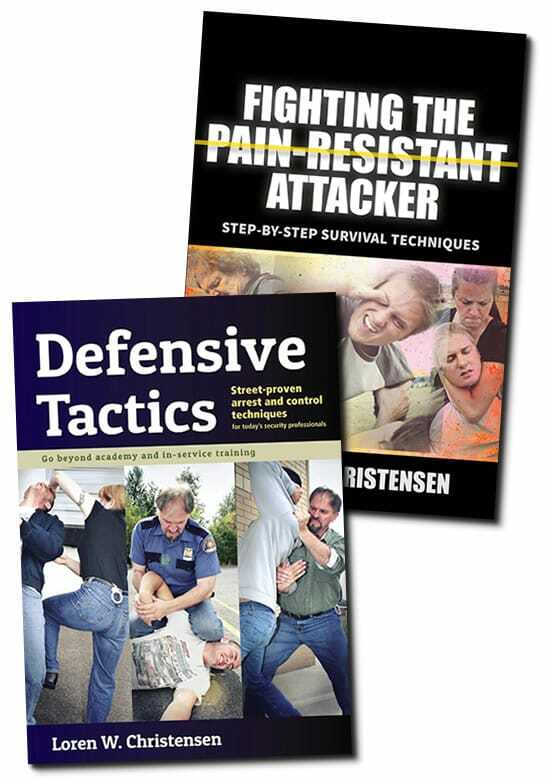 In Fighting the Pain Resistant Attacker, Loren W Christensen teaches you methods for upping the ante when the usual skills won't work. Whether you are a law enforcement officer seeking to improve your edge or a martial artist wanting to expand your knowledge of street-proven techniques, you will find Defensive Tactics: Street-Proven Arrest and Control Techniques is filled with invaluable information to prepare you for even the most difficult scenarios. Loren W. Christensen is a retired cop and high-ranking martial artist who survived everything the mean streets threw at him, working patrol, gang enforcement, and dignitary protection. Defensive Tactics goes beyond what is taught in the academy, during an officer’s in-service training, and what is allowed by the administration. This book also includes a chapter on proven ways to control a suspect on the ground, written by LAPD officer Mark Mireles, an MMA coach, police academy trainer, and champion wrestler. Loren W. Christensen draws on decades of martial arts training and law enforcement experience, giving you techniques to survive the worst-case scenario. This book isn’t about working out with a training partner. It’s about surviving a desperate street attack against a nightmare adversary who doesn’t acknowledge what you thought was your best shot.